Drs. Bass and Donovan Dentistry are dedicated not only to providing exceptional dental services to the residents of Fort Myers but also to the maintenance of their oral health through education. We hope you enjoy these blogs and welcome questions at any time. Did you know that just a century ago nearly half of the population had no teeth? While we have come extremely far from this point, still the fact remains that a large percentage of the population is missing at least one tooth. What are the Problems Associated with Missing Teeth? It is probably no news to you that missing teeth make chewing difficult and can pose significant social difficulties. There are, however, a few other problems that missing teeth create that you may not be aware of. First, when a tooth is lost, the bone that held it in no longer has the necessary stimulation from the presence of the tooth. It begins to resorb, which is basically the bone eating itself away. The impacts of this are greatest in the first year. Second, teeth can drift in the mouth. Often the teeth that were adjacent to the missing teeth will drift into the open site. 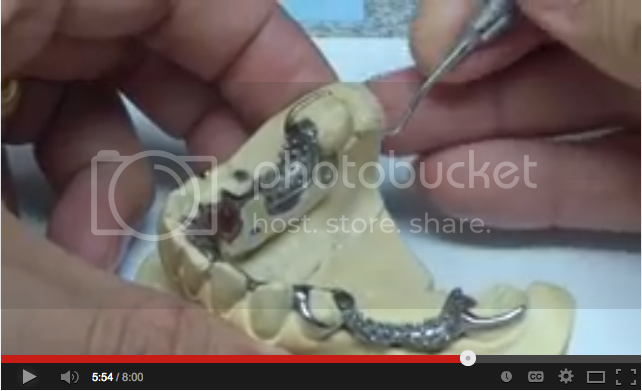 This presents difficulties that often have to be corrected with orthodontics. Traditionally, dentures have been the standard of care for the replacement of missing teeth in the upper and/or lower arch. 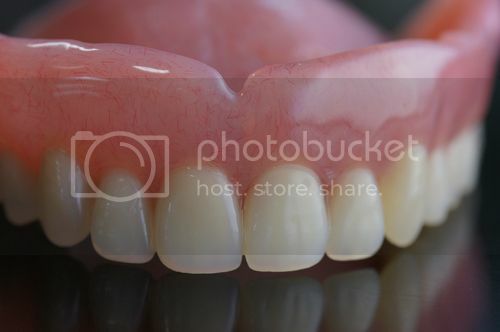 Dentures consist of a pink acrylic base that holds acrylic or porcelain teeth. Traditional dentures are not permanently affixed to the mouth so they can be removed for sleep. Dentures can be the most cost effective of the treatments for replacement of all of the teeth in an arch. New advancements in dentures have allowed for better stability and retention in the mouth through the use of dental implants. The dentures will affix to the implants and prevent the rocking, slipping, and sliding that denture wearers often complain about. Removable partial dentures are indicated to replace one or more missing teeth. These are made from the same material as the traditional dentures, but in addition use a metal framework that creates the strength. Removable partial dentures utilize some of the mouth’s natural contours to retain the prosthesis in the mouth. In addition, small metal wires engage existing natural teeth to help keep the denture in place. Like traditional dentures, these are removed before bed. Bridges are generally indicated to replace one missing tooth but sometimes can replace several adjacent teeth. A bridge is a fixed solution to missing teeth. 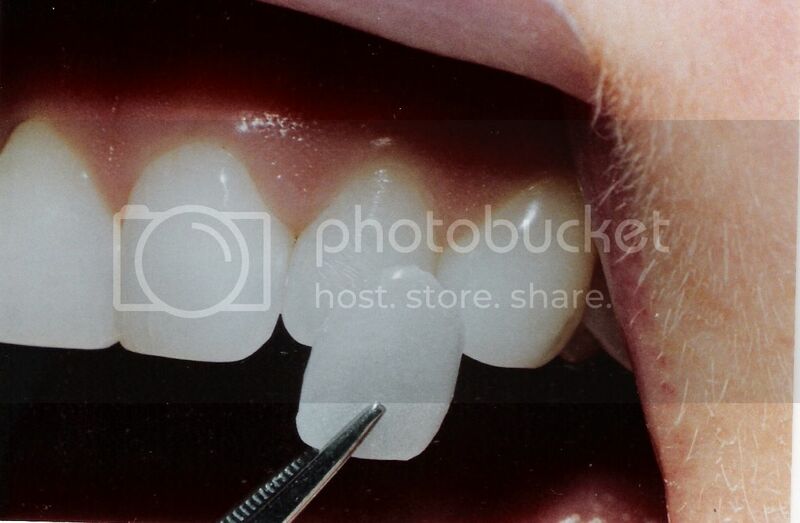 If a tooth is missing, the two adjacent teeth are slightly reduced and capped with a “crown”. This crown can be made of porcelain, gold, a combination of the two, or other variations. These two crowns support a false tooth called a “pontic”. This pontic replaces the missing tooth and the connectors on both sides of it are attached to the crowns. This forms a bridge. Dental implants are the preferred treatment for the replacement of teeth for many situations. Advancements in the implant technology have allowed dentists to attain goals that were not possible years ago. A dental implant is essentially a titanium anchor that is gently placed into the bone to offer as a replacement for a root. The bone grows together with the titanium in a process called osseointegration. After this integration period, an abutment is placed on the implant. This basically abuts the implant with the crown. The crown is the visible portion of the tooth replacement that shows over the gums. The result is a strong beautiful tooth replacement. If you have any questions or would like to meet us for a thorough consultation, call (239)939-4737 or contact us electronically. At Drs. Bass and Donovan Dentistry, we strive to provide the best possible dental care available. In addition, we are dedicated to providing the residents of Fort Myers and surrounding communities with current oral health education. If you have any questions or would like to schedule a consultation, feel free to call us at (239)939-4737 or contact us electronically. What Are the Sources of Dental Pain? Have you ever had a toothache? If you have, we imaging you remember it. Tooth pain can be one of the most difficult pains to deal with. Dentistry would be simple if there was just one reason for tooth pain. Instead, tooth pain is a complex problem that often requires complex treatment. Unfortunately, this article will not give you enough information to self diagnose but if you strive to know your body better, this may be some great info!! Dental pain can originate from several different structures in the oral cavity. First, lets start with the tooth. The tooth is comprised of three general parts. The very outside of the tooth is the enamel. Enamel is the hardest substance in the body. Enamel does not have a blood or nerve supply so no pain can be felt from this area. Just inside of enamel is dentin. Dentin is a complex structure consisting mainly of tubules that house cells. There are several different theories surrounding why dentin can cause pain but the fact remains that if dentin is exposed due to erosion, excessive grinding, trauma, and other causes, it can hurt. The very inner core of the tooth is where the pulp is. Pulp is the life supply of the tooth. If decay has infiltrated the tooth far enough to reach the pulp, pain can be a major issue. This tissue essentially can become inflammed. If that inflammation progresses, the tooth can essentially die. At this point the tooth may no longer hurt but expensive and severe problems can quickly arise. The second major source of pain is the soft tissue in the mouth. This includes the gums, tongue, and what is called the mucosa. The mucosa is the rest of the soft pink tissue inside the mouth that is not the gums, including the hard and soft palate. Ulcers and abcesses are among the problems that can cause pain in the mouth. Finally, the bone that houses the teeth can be another source of pain. There are two main ways that the bone can be a problem. First, there is periodontal disease. This is when gum diease has progressed to the point that the infection spreads to the bone. The result can be the loss of teeth or worse. Second, when the pulp tissue dies, that infection can spread out of the end of the root to the bone tissues. Pain can be felt upon chewing or touching near that area. Dental pain is not something that should be ignored. In many circumstances dental pain will go away on it's own. The problem is that some of these times, the dental pain goes away because the tooth or bone is dying. The absence of pain in these cases does not indicate the absence of disease. We urge you to have your dentist evaluate any pain that you may be having. Much like most of the other health professions, early diagnosis and treatment can save significant amounts of money and time as well as conserving the healthy remaining structures of the body. For more information, feel free to visit the American Dental Association's website and their article regarding tooth pain. Take the Dental IQ Quiz: How Much Do You Know About Your Oral Health? Nearly everyone knows the basics. We all know that brushing and flossing are important to fend off disease. We know that you should visit the dentist regularly. Aside from these basic concepts, there is much more out there. Feel free to take this quiz. The answers with brief descriptions are listed below. If you have any additional questions, please contact us! Good luck. 1. A normal adult should have how many teeth? 2. How many should a normal child have? 3. Candy and sugary drinks can cause tooth decay. Which causes tooth decay more, the portion size or the frequency of these meals/snacks? 4. Many studies agree that there is a specific set minimum time that is most effective for brushing teeth per session. What is that time? 5. The hardest material in the body is? 6. How old should a child be for their first dental appointment? 7. You probably use the term "cavity" for tooth decay. What is the name of the disease that causes a cavity in teeth? 8. Your tooth brush should be replaced how often? 3. b - frequency. You could eat 300 pieces of candy per month. If you at ten every day you would be at a much higher risk of developing tooth decay than you would if you ate all 300 on the 1st of every month. On a side note, we do not recommend either method. 4. a - 2 minutes. Multiple studies have shown that the time spent brushing is of significant importance in oral health. Some studies have even gone so far as to say it is more important than technique, type of brush, or type of toothpaste. 5. b - enamel. Enamel is the calcified outer layer of the teeth. 6. d - 1 year. The American Academy of Pediatric Dentistry claims that the first visit to the dentist should be "first visit by first birthday". 7. b - caries. Gingivitis is gum disease. Halitosis is bad breath. Amalgam is a alloy dental filling material. 8. a - every 2 to 3 months. Recent studies have shown that changing the toothbrush sooner than this yielded no benefits to the effective cleaning of teeth. Fort Myers Dentist, Drs. Bass and Donovan Dentistry provides the residents of Fort Myers and surrounding communities with cosmetic dental care. One of those treatments offered is veneers. Veneers are a type of cosmetic dentistry that can, without the need for excessive tooth preparation, offer exceptional improvements to a smile in just a few visits. Veneers are thin porcelain shells that are placed over the front of teeth. They are designed to correct slightly misaligned, crooked, stained, cracked, or chipped teeth. Many of the celebrities you see in magazines, movies, and television have gleaming straight teeth that are the result of veneers. One benefit of veneers is that the teeth do not require much preparation (grinding) to become reduced enough to facilitate the restoration. This is extremely important in dentistry because one of the main goals for dentists is to retain as much healthy natural tooth structure as possible. There are some similarities between crowns and veneers. First, both of these restorations can be extremely esthetic. Both can be fashioned from porcelain. 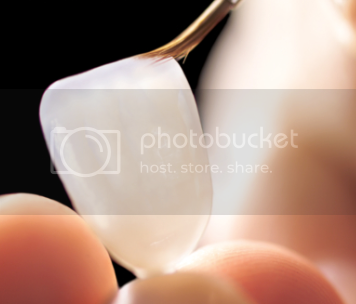 Porcelain has the ability to mimic the natural opacities and translucencies as tooth structure. In addition, both can correct the problems listed above. There are, however, several major differences between crowns and veneers. The amount of tooth reduction is probably the largest difference. A crown covers the entirety of the visible portion of the tooth. For a crown to be placed, a relatively large amount of natural tooth structure needs to be removed or else the crown will be bulbous as well as feel and function wrong. This is one of the larger benefits of veneers. One drawback of the veneers is that they do not provide much support for the tooth like the crown does. If a tooth has had a root canal, large cracks, or significant cavitiy restoration, a crown can provide support. It does so by encircling the tooth. This keeps any existing tooth structure sequestered in a tight shell. This is why veneers have been placed in the category of cosmetic dentistry and crowns are more often thought of as a restorative procedure.